UNIQLO is the contradiction of two words. Unique and Clothing. The brand goal is the make the clothes that everyone can wear. Their products price isn’t expensive (for Japanese people) since it isn’t the premium brand but it isn’t as low as the one sold in flea market or hypermarket as some Thai people think. Although their design is plain and minimalist. Since it’s Japanese, the land of technology. Their clothes are full of technologies such as Dry that wicks away the perspiration and make the cloth dry quicker and HEATTECH that keep the warm for winter season. UNIQLO is also well known for game and anime T-shirt design such as Evangelion, Monster Hunter etc. Here’s what I asked my family to buy. Fisrt is the sweat hoodie. Its discount price is 790 Baht from 1,290 Baht. The fabric and zip look quality. 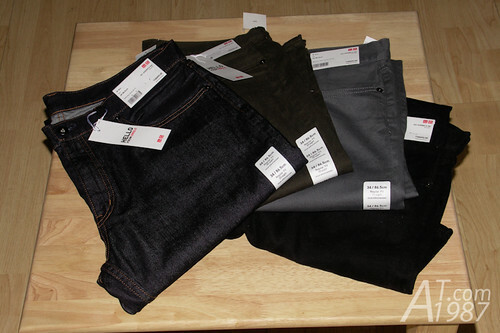 Next are the pairs of Regular Fit Jeans. It’s 490 Baht These aren’t the same as the one on the website that has Orlando Bloom as the presenter. 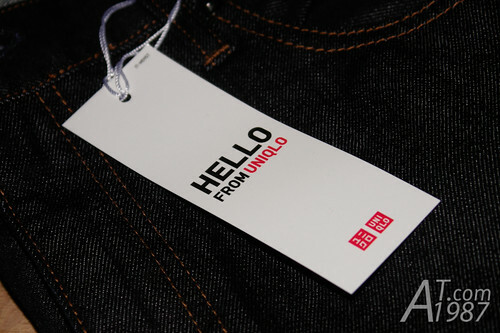 There isn’t any leather patch and the rivets don’t have UNIQLO logo. The fabric isn’t too thick and can wear comfortably. There is also the warning of color stain. 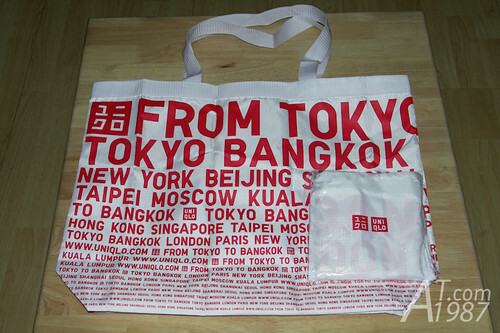 For people who buy more than 1,500 Baht, they will give this bag. Their clothes is quite good quality. The bad point is the cheap looking of jeans. 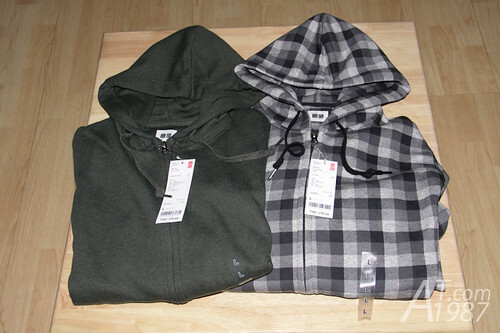 Also it seems that UNIQLO manufacture their clothing from many countries. My hoodie is made in China and jeans is from Cambodia. Since they are good quality. Who care ? For those who can’t get the discount item this time, the Central Ladprao will be opened next month. Hope they will do this promotion again.